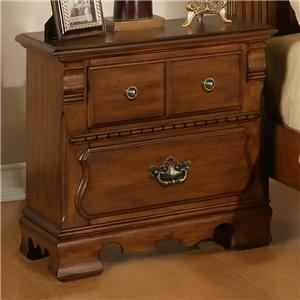 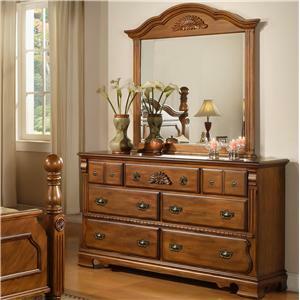 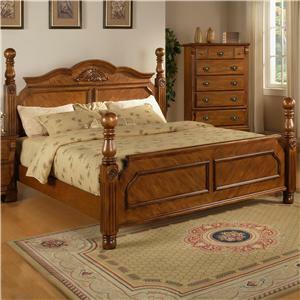 Provide your bedroom with ample storage space by adding this handsome dresser to the decor. 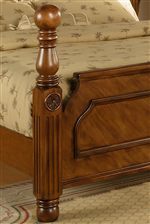 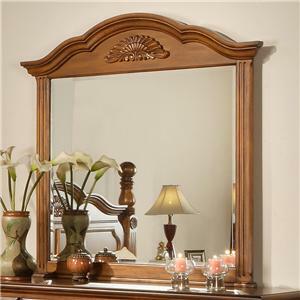 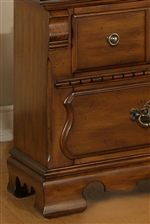 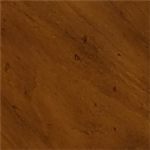 The piece carries a warm medium brown finish and features beautiful bail handles, reeded columns, bracket feet and a palmette carved center piece. 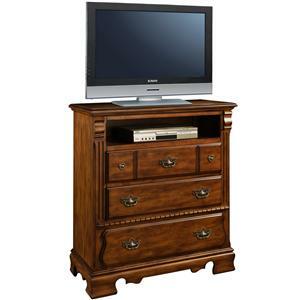 In addition, the seven drawers are great for keeping sweaters, jeans, blankets, stockings, bedsheets and towels. 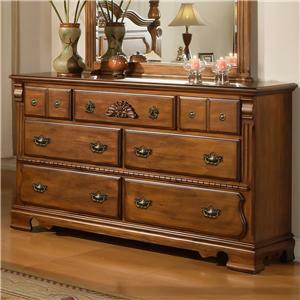 You'll be set with this drawer dresser in your home. 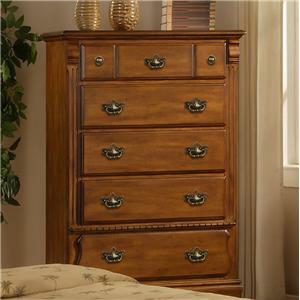 The 0132A Dresser w/ 7 Drawers by Lifestyle is available in the area from BigFurnitureWebsite.